This is the standard method of paying. When checking out your basket you select this option, fill out your details and process your payment. Once processed you will receive a confirmation email containing a PDF receipt. Please note it is free to use your Credit Card - surcharges no longer apply. Our booking system doe not store your card information so it will need to be completed each time you check out. If you have a tax free childcare account get in touch! Did you know it is possible to cut childcare costs by £1,000 + per year?! Using childcare vouchers saves many parents who pay for childcare £1,000s a year in tax. These vouchers - available via a special Government scheme and operated through employers - allow you to pay for childcare from your PRE-TAX salary. Read more here at Money Saving Expert for more information and to see if you qualify. 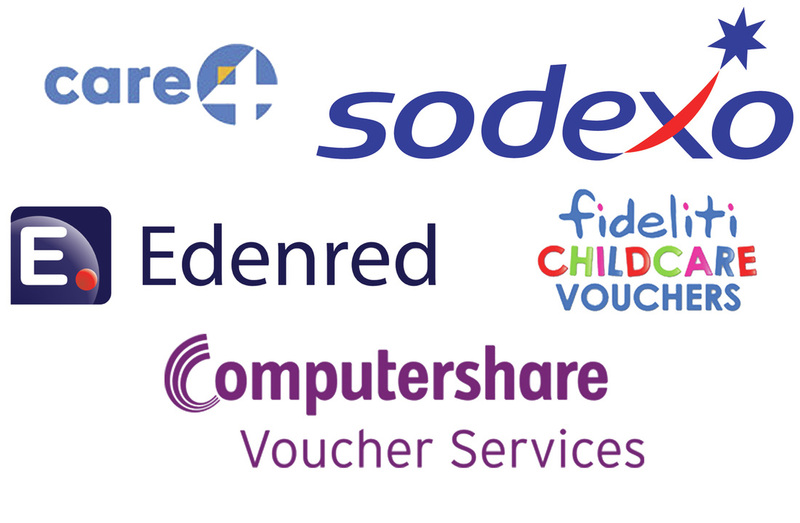 "The maximum value of tax and NI-free Childcare Vouchers that any parent can claim per month"
Here are the Childcare Voucher Providers we have accounts with and their ID numbers. If you want to use a different company, just drop us an email! How can I use Childcare Vouchers to pay for my sessions? Yes! The way it works is you send your childcare vouchers across to PLAYtarium, then once they have processed they are added as credit on your PLAYtarium account, with which you can then use to make a booking. How long does it take for my Childcare Vouchers to be added onto my PLAYtarium account? It can take up to 10 working days from when you send a payment from your voucher company for it to process and clear into our bank. We recommend planning ahead of bookings by crediting your account monthly to ensure you have enough credit to cover your booking. If you do not have enough to cover your booking, you can pay for the remainder at the checkout with your card. Alternatively you can make a partial booking while waiting for more vouchers to process, however you run the risk of sessions becoming fully booked during this time. What if I pay too much and have credit that I don’t need? When you stop using PLAYtarium, or if you have a drastic reduction in the amount of bookings you need, you are able to contact your childcare voucher provider and obtain their refund details. We can then send the amount to be refunded from your account back to the childcare voucher provider, who will then follow their companies procedures in refunding you - please note this varies from each childcare voucher provider and some may not issue refunds. PLease check with them directly for full details. Our fees are reviewed annually and are subject to change. Important Notice - There is a late fee of £1.00 per minute per child. See above our additional charges. ​ For more information, please see our policies which are available to view onsite.